Social media has emerged as a critical component of digital marketing. While there are plenty of other solutions out there for driving leads and traffic, social media is the best way to maintain a sustainable relationship with your target audience. Get that initial connection right, and you can benefit from better loyalty, higher lifetime values, and even brand advocacy. With 3.196 billion social media users active in 2018, today’s companies need to make sure that they’re focusing their attention on the right segment of the market if they want the best ROI. Like any advertising strategy, there’s no one-size-fits-all solution – you need to get to know your audience and what your customers need. Here, we’re going to look at three of the biggest social media platforms, and what they can offer to your online advertising campaign. For most businesses online today, Facebook is the ultimate social media network. Featuring more than 2 billion users per month, Facebook reaches more than a quarter of the world’s population, which means you can connect with virtually anyone. Lookalike audiences: Potential audiences built using the demographics of your existing followers. The idea is to find people similar to the fans who already follow you. Custom audiences: You can upload an existing contact list from another social channel or email marketing list. Core audiences: You can target and reach out to audiences manually using specific characteristics like location, and age. Photo Ads: Photo ads include both an image, and a short amount of text. You can add a call to action button too, asking your customers to visit your store or send you a message. Either create your photo ads in Facebook Business Manager or promote an image-based post from your page. These ads work great for showing off your latest services and products. Video Ads: Video has become a pretty big deal for Facebook lately, particularly with the popularity of Facebook Live. Video ads can range from large promoted videos to short mobile ads, and they work very well with other visual forms of advertising, like a TV campaign. Remember that shorter videos have higher completion rates. 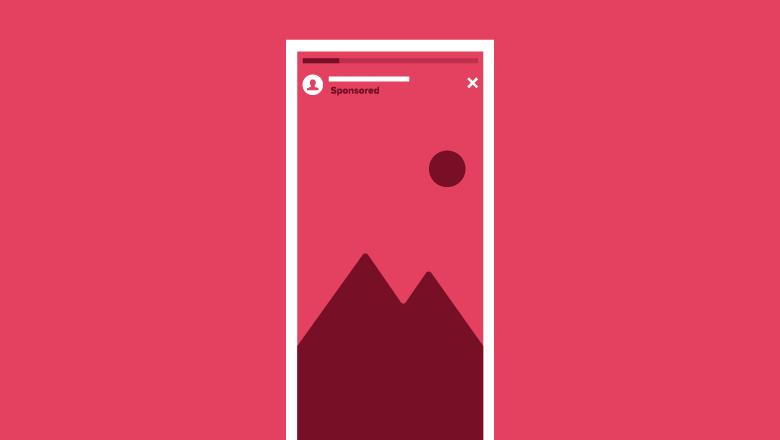 Carousel ads: The Facebook advertising Carousel allows brands to showcase up to 10 videos or images at once, all with their own link. Carousel ads are great for showing the specific features of a product or service. Slideshow Ads: Slideshow ads on Facebook create video-like marketing solutions from static images. These options offer the exciting motion of video, but they’re not as expensive for companies on limited budgets. Messenger ads: A messenger ad on Facebook simply appears on the home screen of your user’s messenger app. You can use these ads to encourage people to reach out and start a conversation with your company on Messenger. Remember to use custom audiences to restart conversations that you might have lost track of in the past. Every social media channel has its positives and its negatives. Facebook advertising is exceptionally good at lead generation, after all, around 22% of the world’s population is currently using Facebook. If you’re looking to generate email addresses for your other ad campaigns, Facebook is a cheap way to reach out to people who are more likely to show an interest in your brand. It’s rich “Audience Insights” section, is packed with information about the demographics of the customers most likely to interact with your company. The highly targeted nature of Facebook advertising along with the wide range of advertisement options you’ll have to choose from means that you can get a great ROI for a low initial spend. Of course, Facebook isn’t perfect. In recent years, organic reach has started to plummet on the channel, which means that you need to use more paid media if you want an effective outreach. Additionally, with such a huge audience active every day and so many competitors active on Facebook, it can be difficult to break through the noise and connect with your target market. If that wasn’t enough, the controversies regarding Facebook’s privacy measures have caused some disruption during the first half of 2018. Facebook isn’t going anywhere any time soon, but marketers will need to be cautious with it. Personalize your ads for each audience: One of the biggest benefits of Facebook is the fact that you can segment and target specific people in your market. That means that you can serve the best ads, to the right people at the right times. Make sure that each of the campaigns you produce is personal to the market you’re trying to reach. Play with different ideas: As new trends emerge on Facebook, make sure you don’t fall behind the competition. Consider trying ideas like Facebook Live, or playing with emojis to show your audience that you have a more playful side to your brand. A/B test everything so you know what works best. Remember lookalike audiences: The lookalike audiences that Facebook offers are very valuable for audience. They’re great for prospecting, and they’re a fantastic way to make sure that you’re not wasting your budget on the wrong customers. Keep testing (all of the time): Ad fatigue is a common problem on Facebook, so make sure that you rotate your ad media at least once every couple of weeks to keep your customers engaged. We’ve covered one of the best-known forms of social media advertising. Now, let’s take a look at one of the most popular social channels of late. While Facebook’s exceptional user numbers make it the ultimate option for a broad social reach, Instagram is growing more by the day, with 500 million monthly active users. Not only is Instagram incredibly popular, but it also commands a higher audience engagement rate than many other social channels too. In terms of audience demographics, Instagram is most appealing to a younger audience, with around 53% of online users between the ages of 18 and 29 active on Instagram. This visual channel is a great option for businesses hoping to reach a younger audience. Although Instagram users aren’t earning as much money as their counterparts on Facebook, they are more likely to engage with your brand and develop loyalty over time. In other words, you might not get a huge initial spend, but you might get repeat customers, which are more valuable overall. Target core audiences using specific demographics like age, gender, and hobbies. Create Lookalike audiences based on the followers you already have. Upload existing audiences from Facebook and other platforms to your Instagram account. Instagram stories: Instagram stories appear between users stories on the Instagram Facebook feed, they can appear either as a single image or a single video. Depending on your campaign, you can potentially add a call-to-action button. Instagram is highly focused on videos and images. This means it’s a great solution for anyone selling highly visual products or services. Additionally, because Instagram’s user base is young, it’s perfect for anyone who wants to connect with new generations like Millennials or Generation X.
Additionally, Instagram ads are highly engaging because they’re both visual and mobile, people carry their Instagram feeds around with them all day long and check the app constantly during their lunch breaks and at other points during the day. Of course, like Facebook, Instagram’s organic reach has seen some issues in the last couple of years, thanks to the overcrowding in the network. Additionally, while the visual nature of this platform is great for advertising in a space that’s highly image-focused, it’s not as useful for people who struggle to show a visual side of their company. What’s more, because captivating images and videos are crucial in Instagram, it’s difficult to add any text benefits to your campaigns. Focus on custom audiences to improve ROI: You can customize your audiences with pixel tracking, email lists, and followers lists to make sure that you’re re-connecting with people who have already engaged with you in the past. This is a great way to make sure you’re spending in the right spaces. Remember lookalike audiences: Facebook/Instagram offers a fantastic algorithm when it comes to finding people who will respond well to your audience. Take advantage of Facebook’s insights. Use custom and highly personalized images: The ultimate thing to remember with Instagram is that stock photos will not work. You need real, engaging photos of legitimate people. Make your offers highly compelling: Make sure that you’re offering something as exciting as the images you share so that you can convince people to act when you’re sharing. Use hashtags: Although hashtags began on Twitter, they’re critical on Instagram today. Hashtags make sure that you’re connecting with the right audience and drawing the best attention to your shares. Finally, we come to LinkedIn – a highly unique social platform that’s perfect for B2B brands and people who want to reach out to professionals in their space. LinkedIn might not be as far-reaching as Facebook, with around 227 million monthly users, but it does help you connect to a very specific audience. LinkedIn is a social media platform designed specifically for professionals, making it the perfect way for B2B brands to reach business decision makers. Around 50% of all LinkedIn users have engaged in higher education, and nearly half of the users make more than $75,000 per year, which means they have money to spend. Matched Audiences: LinkedIn’s “matched audiences” allow you to nurture people in your prospect pipeline by using your existing business data. You can upload and integrate email lists, run account-based targeting, and re-engage website visitors with retargeting campaigns. LinkedIn Audience Network: With the LinkedIn Audience Network, you can reach your target audience with sponsored content. This is a great way to keep your company top-of-mind with key potential clients. Campaign manager: Campaign manager allows you to build your ads, select and save specific demographic targeting options for your ads, and enable “Audience Expansion” to ensure that you’re targeting people similar to your target market. 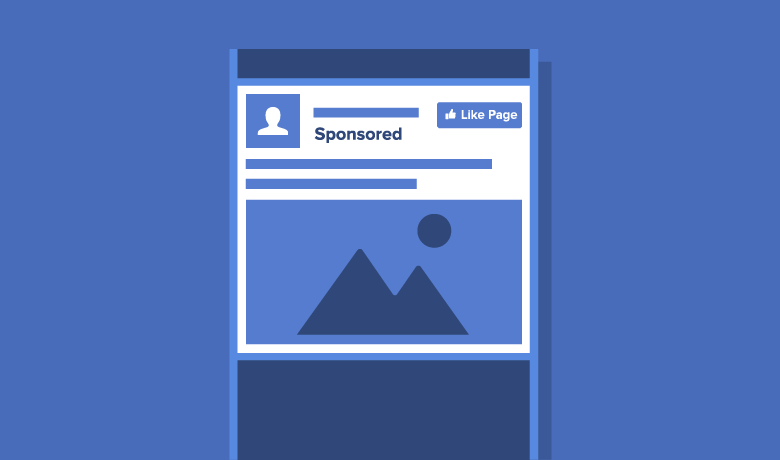 Sponsored content: Sponsored ads are the campaigns that you pay for on LinkedIn, which appear on the news feed surrounded by organic content. Headlines with less than 150 characters get the best engagement, and larger images come with the best click-through rate. 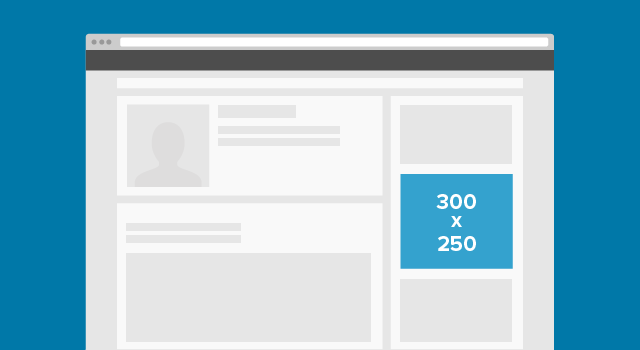 Try choosing an image around 1200 x 627 pixels in size. 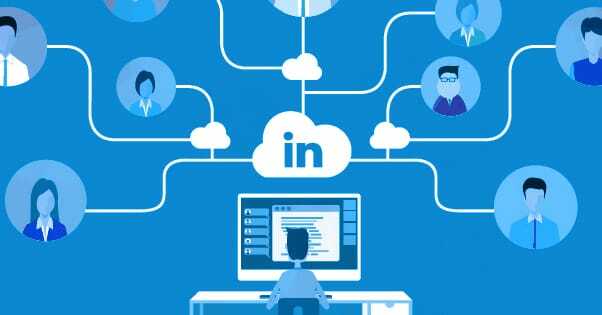 Sponsored InMail: Similar to email marketing, Sponsored InMail on LinkedIn is a great way to connect with your audience, the only difference to email is that your message goes directly to the LinkedIn inbox instead. Short text gets the best response, so make sure that you don’t reveal too much information in your messages. Text Ads: Text ads are small amounts of text that appear on the right and top of the LinkedIn news feed. These ads only appear for desktop users, and they’re not active on mobile devices, so you’ll need to use them very carefully. Perhaps the biggest benefit of LinkedIn Advertising is the fact that you can connect with a customer base that has a higher disposable income. Approximately 75% of LinkedIn users earn more than $50,000 per year – and it’s a great place to go if you want to earn high-quality leads across a range of industries. Unlike many social platforms, LinkedIn is best-suited for B2B ads too. However, unlike Instagram and Facebook, LinkedIn isn’t particularly active, with fewer people logging in every day. Additionally, there’s not a lot of educational resources to tap into if you want help getting started with your advertising plan. Although there are FAQs and help sections, you may need to look elsewhere for support. Additionally, because LinkedIn doesn’t offer any product-focused advertising campaigns, it’s not great for people who want to generate attention for their eCommerce website. Instead, users on LinkedIn expect a professional and personal experience when connecting with new people. Make sure you constantly track your ad performance: Look at your ad performance through the insights section of LinkedIn and remove anything that performs at a rate of less than 0.10%. Remember to target: While LinkedIn doesn’t offer as many targeting options as Facebook or LinkedIn, it’s still worth refining your campaigns to reach out to the right people. Remember to target according to demographics like age, education, company size, location, and skill-set too. Get your copy right: LinkedIn users are generally drawn to short ad copy than most, so keep your messages refined. Additionally, make sure that you’re focusing on personal challenges and problems that your customers might be facing. Take advantage of groups: Much of LinkedIn’s value comes in its groups that allow you to connect with people from a specific industry. This a great way to drive real engagement with decision makers and influencers in the right niche. Ready to Start Social Media Advertising? Today, it seems as though everyone understands the potential benefits of social media advertising. However, just like any other form of marketing campaign, the best way to make sure that you’re getting the ultimate ROI is with the right strategy. Choosing the perfect social media channel for your target audience and investing in the right kinds of advertisements is the best way to make sure that you’re getting more out of your marketing budget.